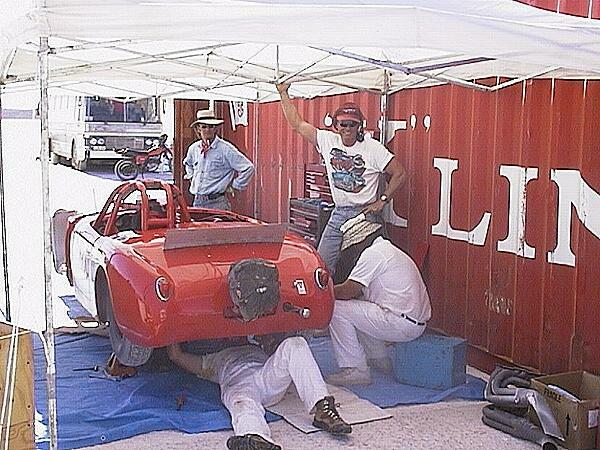 Doug Odom and Gail Phillips and her husband Al made the trip out in 2001 and brought with them their little MG Sprite. 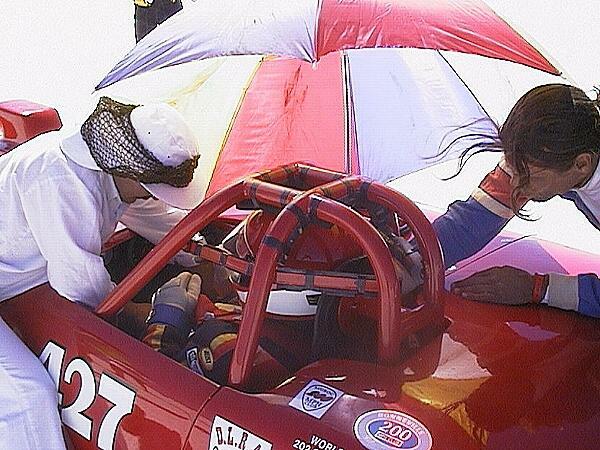 Doug does all the wrench work on the race car. 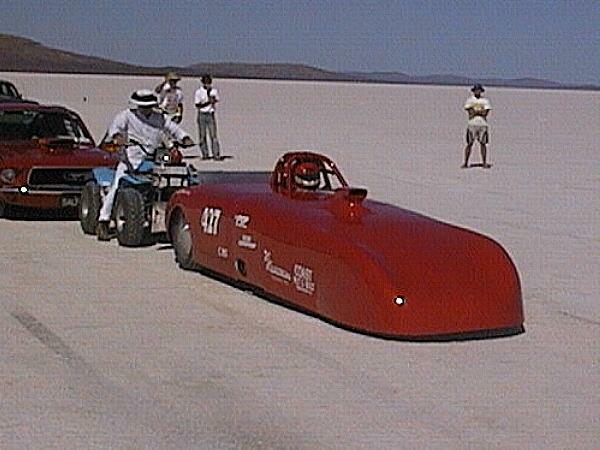 Unfortunately Doug rolled the little car at Bonneville just 6 weeks prior to loading into the container for Australia. 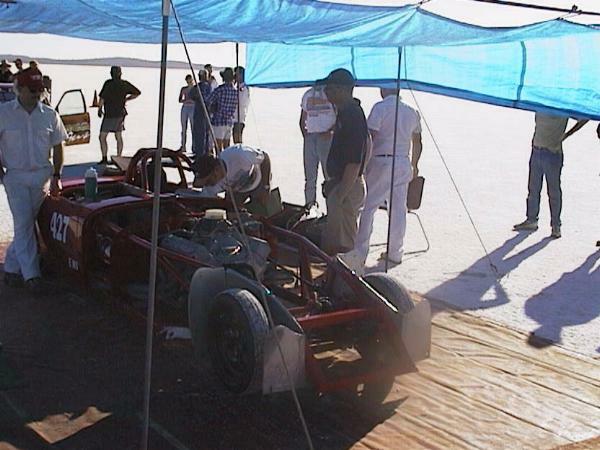 But in true salt racer spirit, he completely rebuilt the car in time and both Doug and Gail picked up Australian Records for the trouble.